Have you been dreaming of a luxury home by the sea in Cabo San Lucas? At Villa La Estancia Residences you can enjoy prime real estate located on Cabo San Lucas’ charming Medano Beach. Just imagine overlooking the iconic El Arco at Land’s End as you luxuriate in your home away from home at this award-winning property. Villa La Estancia showcases a selection of prime real estate including luxury villas for full and fractional ownership served by exclusive 5-star amenities for magnificent lifestyles within a relaxed setting. Commanding a stunning location on Cabo’s Medano Beach where the waters are safe for bathing and watersports like paddle boarding and kayaking, this impeccable high-end property overlooks the famous El Arco landmark at Land’s End. Known for its unparalleled 5-star services, sophisticated style and tranquil setting, luxury property ownership in Mexico is a dream come true at Villa La Estancia Cabo San Lucas, which is also the only real estate on Medano Beach to offer both full and fractional deeded ownership. Just imagine the breathtaking sight as you arrive home to your private beachfront villa and you catch sight of the Land’s End rocky arch as it rises from the sea upon entering the lobby, or the comfort you feel as you relax in your elegant hacienda-style residences or invite friends for refreshments on your sea view terrace. Purchase prime real estate in Cabo San Lucas to enjoy all the privileges of full and fractional ownership in Mexico. When you become a Villa La Estancia resident you can indulge in a luxury lifestyle to suit you pleasures within a comfortable yet elegant home away from home setting by the sea. Each of our 156 luxury-appointed Villas are decorated with a colonial-hacienda style, where you can relax in spacious en-suite bedrooms, spa bathrooms, fully-equipped gourmet kitchens (including a dishwasher and washer/dryer), sophisticated lounge-diners and expansive terraces and balconies. Prime real estate in Cabo San Lucas at Villa La Estancia is more than a luxury second home in the sun. 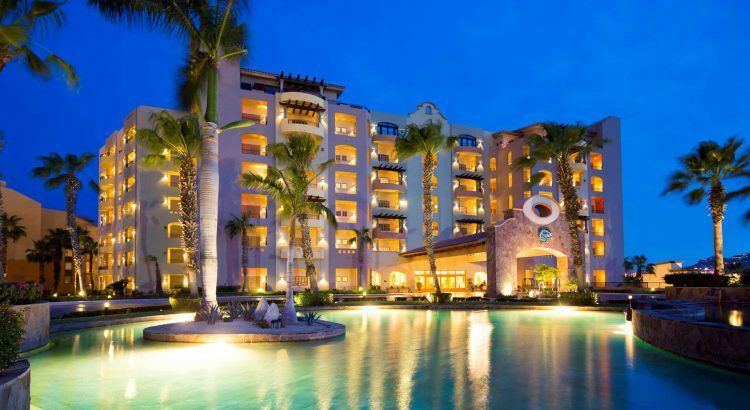 It is property ownership that includes 5 star privileges like access to onsite restaurants including La Casona and La Parilla restaurants as well as use of the complimentary trolley service to take you to the sister resorts of Villa del Palmar and Villa del Arco, where you can try tempting dishes at an additional 5 restaurants. You can also take advantage of room service and a private chef service for those special occasions.